Most wills serve only as backup documents for monies that do not have beneficiaries named, and Charitable plans are dramatically unstable in the 5 years leading up to a donor’s death. Dr. Russell continues with a discussion of the implications of these findings in the philanthropic arena. He concludes with some “do’s” and “don’ts” for fundraisers as they think about planned giving strategies for their constituents. Dr. Russell James is a professor in the Department of Personal Financial Planning at Texas Tech University. Dr. James was one of the first researchers to use Magnetic Resonance Imaging (MRI) to study what motivates donors to make charitable bequests. His scientific findings continue to help fundraisers maximize their relationships with donors. Dr. James received his B.A., J.D. and Ph.D. from the University of Missouri. 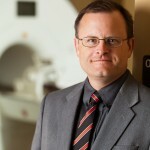 In addition to private law practice, he has held faculty positions at Central Christian College, the University of Missouri and the University of Georgia. Follow Russell on Twitter at @TTUgenerosity.